(I-5 Federal Way/ Auburn Exit. Head west on 348th, Campus Drive to Northshore Parkway. If you just head west after leaving the freeway, the road takes you to Northshore Parkway in about 7 miles. Look for church on the left. 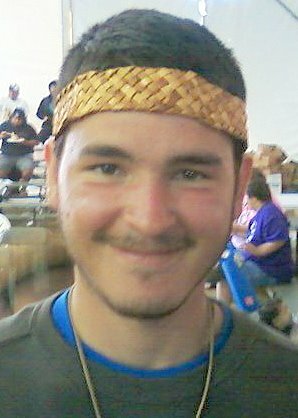 Class sign-up (253-927-7033, ask for Sheila, or 253-927-5298, ask for Elaine). Class fees are $15.00 per session for morning classes, and $40.00 for all-day sessions. Materials are provided and are an additional cost. While specific classes and dates are listed, students may choose work on previous class baskets or on individual projects. Check with the instructor to make sure appropriate materials are on hand if you are not planning to do the assigned basket. 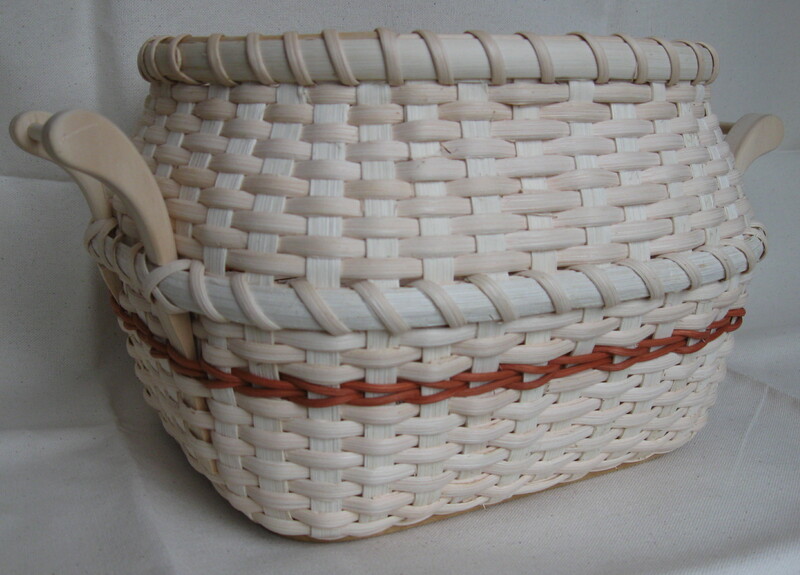 Independent Study: As always students may choose a basket for independent study by working with the instructors to select the basket and make sure the materials are available. The materials fee will vary depending on the materials required. Equipment: While we do have equipment that students may use in class, we do recommend that you bring an old towel, a small rectangular plastic dishpan, spray bottle, and a pair of scissors (not your best sewing shears). We do recommend calling either Elaine or Sheila to let us know that you will be planning to start a basket, so that we can bring the appropriate supplies. 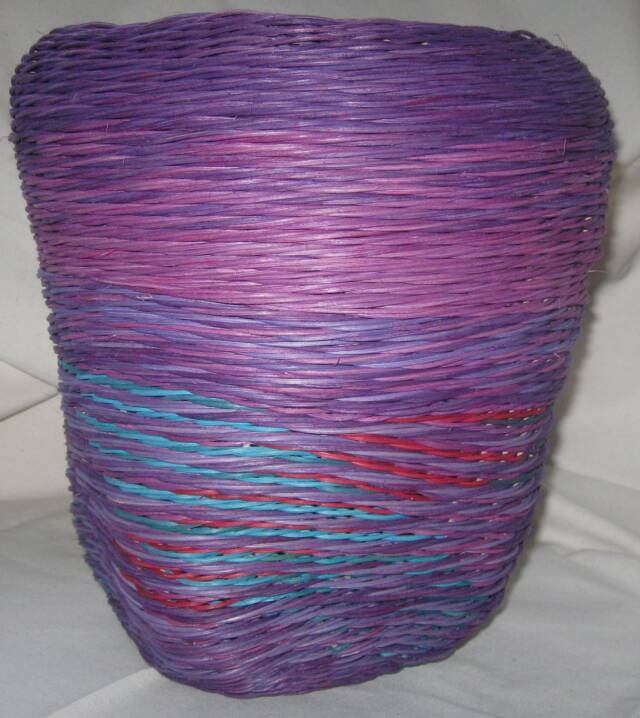 The false rim part way up this basket, the unique handles and shaping make this an interesting basket. 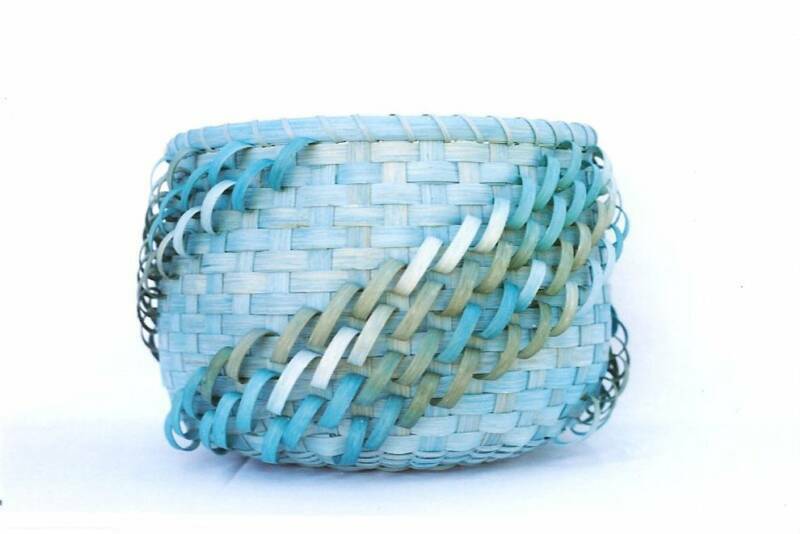 Based on the Cherokee-style double-wall basket; this is woven in a bowl shape. It is very sturdy and allows for color and/or weave variation from the inside wall to the outside wall and is excellent for hiding ends on weave styles such as French randing. Come to Elaine’s home to dye, space dye, and learn to prep a variety of materials. Your reed - $2.00 per ½ lb. We highly recommend this Guild event. 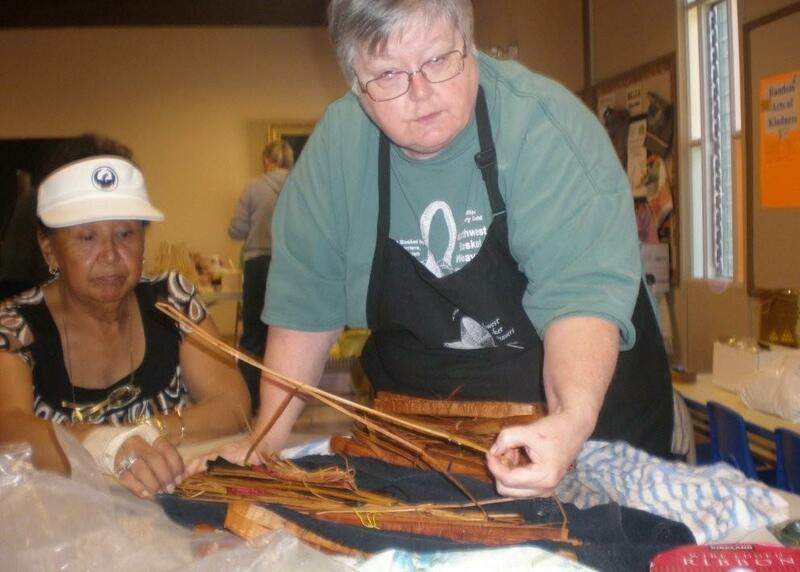 The Guild pays the instructor fees and attendees pay only the materials fee. 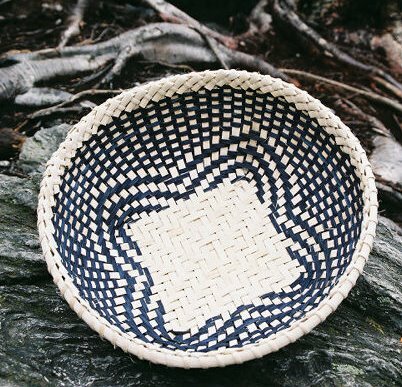 What a great chance to learn a new basket or basket weaving technique. Registration should be out in mid-June. Watch the Guild website for more information. 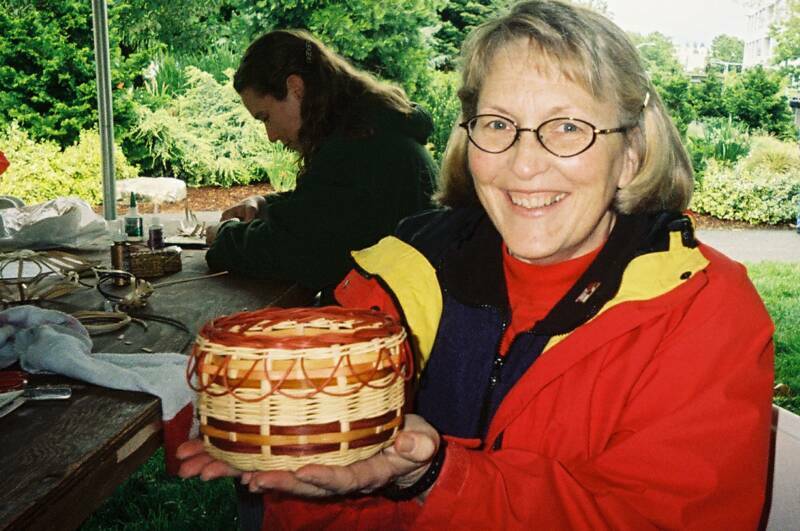 Join us as we demonstrate basket weaving in the Sheep to Shawl Demonstration area. 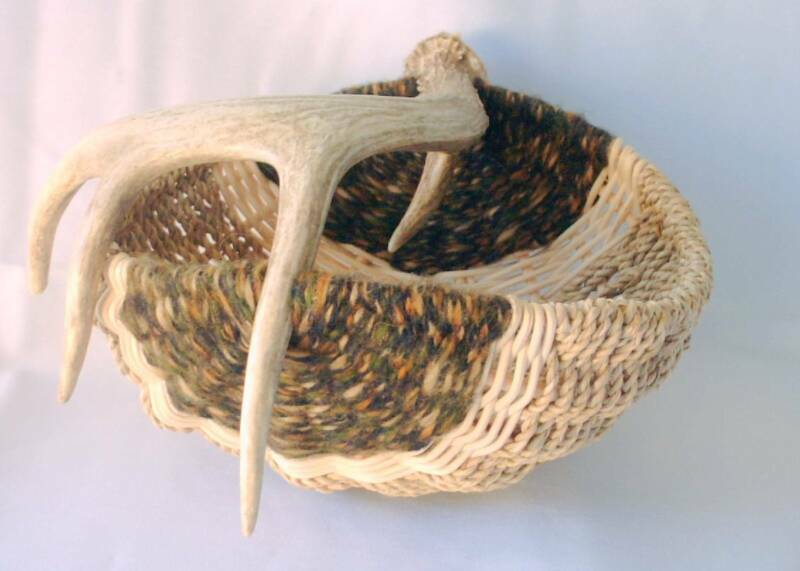 Learn to weave a cat head basket with cedar and a variety of other choices for the sides. Several rim choices will be available. The instructor fee is waived. A free fair entrance ticket and parking pass will be provided.